Coming November 14, 2012. Of astronomical importance? 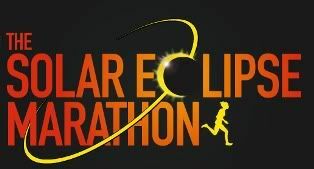 The Solar Eclipse Marathon & Half Marathon in Port Douglas (Australia) kicks-off at exactly the moment when the Sun re-emerges from behind the Moon and the corona is broken. With the eclipse beginning at 6:38am, this means the race will kick-off at about 6:40am. But there will be more than that at this Great Barrier Reef location since most folks will be pairing a vacation with the run as well as a Meet & Greet, huge pasta dinner and celebration dinner too. If you needed one more reason to visit Australia, this is it!